David Beronä, Abrams 255 pg. Wordless Books is a collection of excerpts from graphic novels that were drawn in the first half of the 20th century. Despite the range of styles and themes they all have one thing in common: they do not use dialog or narration to tell a story. Instead, the artists structured their stories as a progression of images, each hinting at the next and forming a narrative thread. It is a difficult task to do and one of the drawback of the book is that Beronä has to explain how the excerpts fit together so that the reader can see how the artists structured the narrative. Nevertheless, Wordless Books contains some fascinating work from the early 20th century. 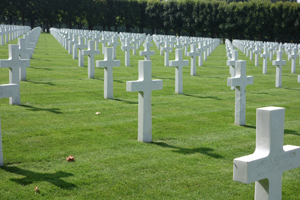 Since much of the work was produced during the turbulent periods of World War I, the depression and World War II, anti-war and anti-capitalist themes link the artists. For the American artists such as Lynd Ward, fit amongst other socially committed artists like Stienbeck or Odets. Each, though, focuses on the struggles of the individual against larger forces, whether it be state power, especially the army, large corporations, or church. 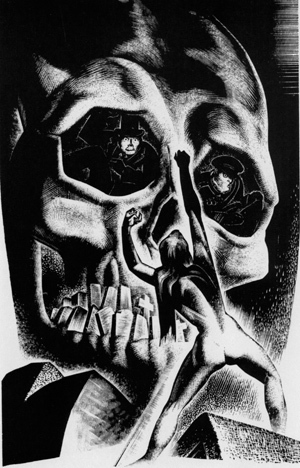 Lynd Ward’s work, while following thematically Masreel’s work, is centered in a mix of industrial arts, almost a futurist vision, an American as seen in the likes of Thomas Hart Benton, possibly cinema like Fritz Lang, and one can even see some of the ideas of the Mexican muralist Jose Clemente Orrozco. Using intricately carved wood blocks, he presents an America in the midst of turbulent economic times, filled with strikes, gaunt men in gaunt and defeated men, but also includes in a mid-century ethic that praised the industrial worker energetic, almost neo-Gothic images of men working amongst the dehumanizing machinery. His work is the perfect graphic aesthetic of the era, one that mixes criticism of capitalism with a celebration of industry and the worker who keeps it running. Giacomo Patri’s work follows in the tradition of Lynd Ward, but begins to add text into scenes so that the reader has more ways of putting the story together. Again his drawings are a mix of the industrial and the energetic, but he focuses more on the individual in everyday life, not abstract beings caught in a modern drama. Moreover, his work is less ornate and leaves the characters as the center piece, not the energy or emotion of Ward. The drawings in Wordless Books still have a power that resonates, perhaps at times it is a distant power caught in a history now quite distant, but the images of humans against machines is still salient. 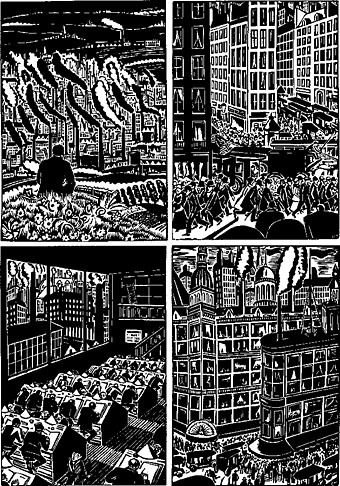 Perhaps one must substitute Masereel’s draftsmen in the City for workers in cubical, but it is still the idea, although a contemporary artist might paint it in Starbucks green. 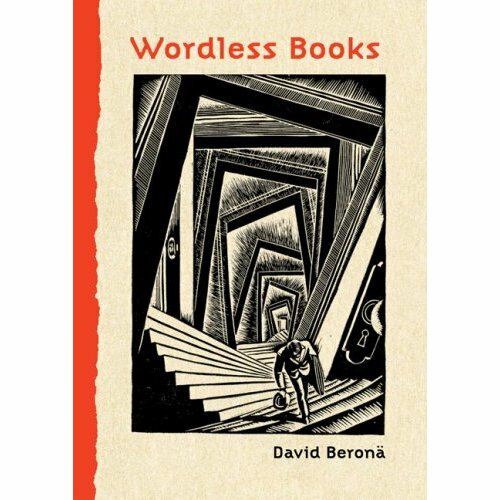 While Wordless Books lacks the complete stories these authors tried to tell, it is a great introduction and should make anyone interested want to search for more of these works.